Simple and to the point, Commercial Real Estate Investing presents 12 easy-to-follow steps that anyone can use to build a life of financial independence. Full of real-world examples, insider tips, and tried-and-true advice from one of the most published real estate authors in America, this comprehensive resource covers everything you need to know about profiting in commercial real estate--including financing, valuation, due diligence, leverage, equity, using other people's money, and much more. 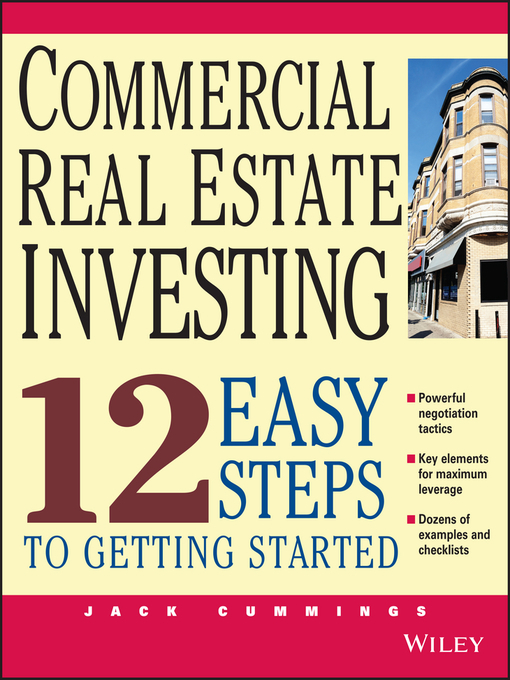 Packed with fresh ideas, proven techniques, and effective strategies for solving problems during negotiations and making a profit even if you sell for less than you paid, Commercial Real Estate Investing gives you all the tools you need to start amassing your fortune today.